There are several variants of constructivist therapy, many of them developed relatively recently, but all share the epistemological belief that individuals cannot directly experience reality and that instead they actively construct their worlds (Mahoney, 1988; Neimeyer, 1995; Neimeyer & Rood, 1997). The first such therapeutic approach to emerge, George Kelly's (1955) personal construct psychotherapy, was ahead of its time but is still the most well elaborated at the theoretical level. Its underlying philosophical assumption of 'constructive alternativism' asserts that 'all of our present interpretations of the universe are subject to revision or replacement' (Kelly, 1955, p. 15). The 'fundamental postulate' of personal construct theory essentially states that the anticipation of events is central to human functioning, with the person operating like a scientist. Eleven corollaries of this postulate indicate how this anticipation occurs. Each individual's anticipations, in Kelly's view, are derived from a hierarchically organised system of bipolar personal constructs. These constructs are not all verbal, nor is a person necessarily fully aware of how he or she construes the world. Although there may be certain similarities between the construct systems of different individuals, particularly within the same cultural group, each person's construct system is unique. It is in construing other people's construction processes, or trying to see the world through their eyes, that a social relationship develops. The individuality of construing may be reflected in the contrasting poles of some of a person's constructs and in the relationships between their constructs. For example, in the case of Nigel, who was referred for psychological assessment after behaving in such a way at university that he was likely not to be allowed to continue his course, one of his constructs contrasted being self-destructive with being egotistical. The positive implications of self-destructiveness for him were further indicated by the relationships of this construct with various others in his system: for example, 'aware - blinkered', 'free - conventional', and 'thoughtful - disinterested'. Each construct presents the individual with a choice in that the self, or some other event, may be construed in terms of either of the construct's poles. From the personal construct theory perspective, the person will choose that option which appears to present greater possibilities for elaboration of his or her construct system and therefore for better anticipation of the world. For Nigel, self-destructiveness appeared to provide that option, just as for many of our clients their symptom provides them with a well elaborated 'way of life' (Fransella, 1970). A person's anticipations may or may not be validated by his or her experiences of events. Optimally, if a particular anticipation is invalidated, reconstruing will occur. However, there is evidence that the more 'superordinate' constructs in an individual's system are particularly resistant to invalidation and this is especially likely to be the case if these are 'core' constructs, which are central to the person's identity. In Kelly's view, people are threatened by the awareness of an imminent comprehensive change in these core structures and feel guilty if they find themselves dislodged from their core role structure, their characteristic way of interacting with other people. Nigel, for example, would be likely to feel guilty if he behaved egotistically towards others, while a hardened criminal might experience guilt if interacting with another person in an honest, law-abiding fashion. From a personal construct theory perspective, a client's resistance to therapy may be explained in terms of therapy having provoked high levels of threat or guilt. Another emotion that is of considerable relevance to the therapeutic process is anxiety, which Kelly viewed as occurring when an individual's constructs do not enable him or her to anticipate events. Instead of revising their construing in the face of invalidation, people occasionally try to change the world to make it fit with their construct systems. Thus, if Nigel were to meet someone whom he construed as neither self-destructive nor disinterested, he might behave in such an offensive manner that the other person would express disinterest in him, thus validating Nigel's original construction. This is hostility in Kelly's sense of the term. In psychological disorder, there is persistent use of a particular construction despite consistent invalidation. The disordered individual will generally use particular strategies to avoid invalidation and there is research evidence of the strategies of construing that characterise particular disorders (Winter, 1992, 2003a). Although later personal construct theorists have elaborated these areas, Kelly did not give detailed attention to the development of construing or to social constructions. However, these have been central to some of the other variants of constructivist therapy. For example, Guidano's (1987) developmental approach views attachment processes, particularly in the parent-child relationship, as the basis for the development of an individual's 'personal meaning organisation', which gives some order to their experiences. In normal functioning, the personal meaning organisation is relatively flexible whereas in 'cognitive dysfunction' it adopts particular patterns of 'closure', related to certain developmental pathways and associated clinical problems. Systemic constructivist therapies (see, for example, Selvini-Palazzoli et al., 1980; Efran et al., 1990) consider meaning to have a basis in language and social constructionist approaches (McNamee & Gergen, 1992) regard it as being culturally determined. In several of these approaches (for example, White & Epston, 1990), as in the work of some post-Kellyan personal construct theorists (Mair, 1988; Neimeyer, 1994; Viney, 1993), people are viewed as structuring their experience in terms of stories. An essential feature of the constructivist approach to therapy is that the therapist is not regarded as having privileged access to truth. He or she will take a 'credulous attitude' (Kelly, 1955) to the client's view of the world, although this does not preclude the use of 'diagnostic constructs' to understand clients' situations, to assess their available pathways of movement and to guide the therapeutic intervention. Although the aim of the intervention will be to facilitate reconstruing, it will not be to persuade the client to construe events in a particular way. In this respect, constructivist therapies stand in marked contrast to rationalist cognitive therapy, and there is some research evidence that the latter approach is more directive, and more negative in the attitude towards the client than is personal construct psychotherapy (Winter & Watson, 1999). Constructivist therapies are 'technically eclectic' (Norcross, 1986) in that although they may use a range of techniques, some borrowed from other models, these are always selected on the basis of their likely effects on the client's construing. The various forms of constructivist therapy differ somewhat in the approach adopted, and the techniques likely to be employed, by the therapist. In personal construct psychotherapy the initial focus will usually be on the elaboration of the client's construct system, often with the aid of various assessment techniques. The most familiar of these is the repertory grid (Beail, 1985; Fransella, Bell & Bannister, 2004; Kelly, 1955), in which a sample of the client's constructs is elicited by asking him or her to compare and contrast various elements or aspects of experience. These elements are usually significant people in the client's life and components of the self. In the final stage of the procedure, the client sorts all of the elements in terms of all of the constructs, generally by rating or ranking them. The grid is usually analysed by computer, and the measures thus derived provide indications of the personal meaning of the client's constructs, similarities and differences in the construing of particular elements, and the structural properties of the construct system (for example, its 'tightness' or degree of rigidity). Another technique, known as laddering (Hinkle, 1965), charts the hierarchical structure of the client's construct system by asking, for a particular construct, which pole he or she would prefer to be described by and why, and repeating the process for the next, and each succeeding, construct elicited. Each such construct is assumed to be superordinate to the last. A further assessment technique, originally proposed by Kelly (1955), is the self-characterisation, in which the client is asked to write an autobiographical sketch as if it were written by an intimate, sympathetic friend. The personal construct psychotherapist may also use 'casual enactment', brief role-playing of situations in the client's life, to elaborate his or her construct system. In addition, this procedure may facilitate the client's experimentation with different ways of behaving and of construing events. Experimentation is the primary aim of a more formal enactment method devised by Kelly (1955), fixed-role therapy. This involves the therapist writing a sketch of a character who is orthogonal, rather than in marked contrast, to the client; and, if the client finds this character plausible, he or she being asked to 'become' the person in the sketch for two weeks. At the end of this period, the client's old self is invited to return, but the client will hopefully have discovered that there are alternative ways of construing the self and the world. Numerous other issues may be addressed by the personal construct psychotherapist. For example, there may be a focus on loosening or tightening the client's construct system, therapeutic techniques being chosen accordingly. In 'experiential personal construct psychotherapy' (Leitner, 1988), the therapeutic relationship is of primary concern. As well as applications with individual clients, personal construct therapeutic methods have been developed for work with groups (for example, Landfield & Rivers, 1975; Neimeyer, 1988), couples (Neimeyer, 1985), and families (Feixas, 1992a; Procter, 1981). More detailed descriptions, and examples, of the approach may be found in Leitner & Dunnett (1993), Neimeyer & Neimeyer (1987), Winter (1992) and Winter and Viney (2005). Guidano's (1987) developmental approach to therapy (which has also been referred to as process-oriented cognitive therapy) involves a stepwise process of self-observation using a 'moviola' technique in which clients are trained to 'zoom' in and out of particular scenes in their life. 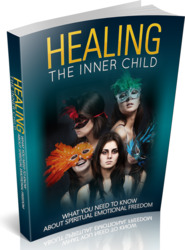 They are thereby encouraged to regard perceptions about the events concerned as hypotheses and to view emotional states as constructions associated with perceived imbalances in affective relationships. The therapist will offer a formulation of clients' problems in terms of the underlying personal meaning organisation, will consider clients' affective style in terms of their history of affective relationships, and in some cases may explore the development of their personal meaning organisation. Other constructivist approaches to therapy (Neimeyer & Mahoney, 1995; Neimeyer & Rood, 1997) are too numerous to be described in any depth. 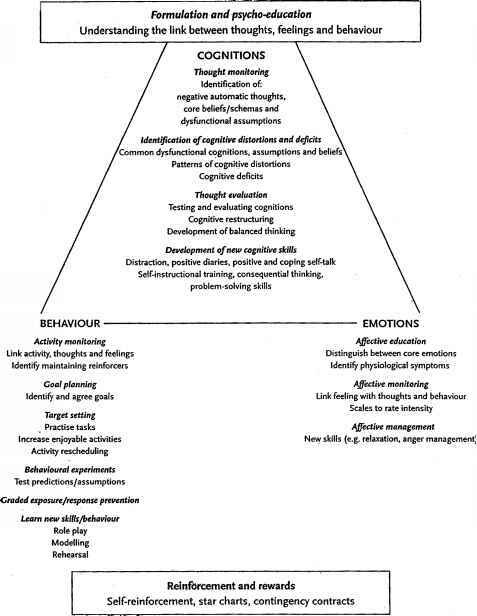 Ivey's (1986) developmental therapy views therapy as a process analogous to the child's development through Piagetian stages, for which the therapist needs to ensure an equilibriation between accommodation and assimilation. Depth-oriented brief therapy (Ecker & Hulley, 1996) regards the client as holding a conscious 'anti-symptom position', in which the symptom is viewed as problematic, and an unconscious 'pro-symptom position', in which the symptom is viewed as necessary. Therapy involves 'radical inquiry', in which the latter position is elaborated, and 'experiential shift', in which there is transformation of the constructs concerned. Therapeutic resolution entails change in either the anti- or the pro-symptom position. In neurolinguistic psychotherapy (O'Connor & Seymour, 1990), one of the therapist's concerns is to identify and then match interventions to clients' preferred systems (visual, auditory or kinesthetic) for representing their world. The interventions concerned involve a range of techniques and may be accompanied by the use of trance. Systemic constructivist and social constructionist therapies tend to focus upon the 'languaging' about the problem, and co-construction of its meaning, by clients and therapists (Anderson & Goolishian, 1992). In the former approaches, a family's construing may be elucidated by such methods as 'circular questioning' (Selvini-Palazzoli et al., 1980) in which the members are asked in turn how they view a particular issue. Social constructionist approaches are more concerned with how clients may 'reauthor' their lives to free themselves from oppressive cultural narratives. Techniques that may enable them to achieve this end include externalising their problems so that they are seen as alien (White & Epston, 1990). Kelly (1955) made it clear that training in psychotherapy should involve both the development of a system of professional constructs and the examination of the trainee's personal construct system. The former component of training is likely to include a focus on the role of the therapist as that of a 'professional scientist'. The latter component may involve identification of areas of hostility, in Kelly's sense of this term, and of aspects of the system in which some reconstruction may be considered necessary before the trainee embarks on therapeutic practice. A fundamental aim is that trainees develop a capacity for 'reflexivity', the ability to view their own processes in terms of constructivist concepts (Dunnett, 1988). This may well be facilitated by the trainee undergoing constructivist therapy but personal therapy is not generally a requirement of constructivist therapy training programmes. Instead, reflexivity may be developed by other means, such as keeping a personal journal written from a constructivist perspective. In view of the personal aspects of constructivist therapy training, small group work is likely to figure prominently in such training. The overall focus of training, just as in constructivist therapy itself, is not on the transmission of information but on the trainee's development as a 'self-organised learner' (Kenny, 1988; Thomas & Harri-Augstein, 1983). The duration of training is generally at least three, and usually four, years. As with practitioners of other approaches, constructivist therapists are required to undergo regular supervision. As Feixas (1992b) indicates, the primary focus of such supervision is on the therapist's construing, and on the invalidation of this which is reflected in the problems which the therapist brings to supervision. In this respect, the relationship between supervisor and supervisee, like that between trainer and trainee, is equivalent to the therapist-client relationship. To quote Feixas (1992b, p. 197), 'the supervisor's task is similar to that of the therapist with the client, that is, to promote alternative, more viable constructions of both the client's problem and the therapy'. Winter, 2005; Winter, 1992, 2003b) meta-analyses of which suggest effect sizes equivalent to those in cognitive-behavioural and psychodynamic therapies (Viney, 1998). One of the earliest studies of personal construct psychotherapy gave a 'not proven' verdict concerning its effects on thought disordered schizophrenics (Bannister et al., 1975), but more positive outcomes have generally been demonstrated with other client groups. For example, some evidence has been provided of the effectiveness of variants of fixed-role therapy in the treatment of public speaking anxiety (Karst & Trexler, 1975), snake phobia (Lira et al., 1975), and social anxiety (Beail & Parker, 1991; Nagae and Nedate, 2001). Agoraphobics have been demonstrated to show greater improvement in a treatment combining personal construct psychotherapy and exposure than while they were on the waiting list, although it was less clear whether the personal construct psychotherapy component was more effective than supportive therapy (Winter et al., 2006). In a more heterogeneous group of clients referred to a clinical psychology service, Watson & Winter (2005) demonstrated significant improvement in those treated by personal construct psychotherapy, at a level comparable to that in cognitive-behavioural therapy. More complex levels of perceptual processing were observed during therapy in the personal construct psychotherapy clients in this study. Personal construct psychotherapy has also been found to be effective in the treatment of depression (Neimeyer et al., 1985; Sheehan, 1985), as well as in that of clients presenting with deliberate self-harm (Winter et al., 2006). Improvement in speech has been demonstrated in stutterers treated by personal construct psychotherapy (Fransella, 1972), who have been found to show a lower relapse rate than those solely treated by speech techniques (Evesham & Fransella, 1985). Changes in construing have been demonstrated during personal construct group psychotherapy for clients with eating disorders (Button, 1987) and for problem drinkers (Landfield, 1979), and this form of therapy has also been found to be effective with disturbed adolescents (Jackson, 1992; Sewell & Ovaert, 1997; Truneckova & Viney, 2005; Viney, Henry & Campbell, 1995), survivors of childhood sexual abuse (Alexander et al., 1989) and people with problems involving poor anger control (Horley & Francouer, 2003; Pekkala & Dave, 2006). Older people have been found to benefit from a personal construct approach (Viney, 1986; Viney, Benjamin & Preston, 1989; Botella & Feixas, 1992-3), as have medical in-patients (Viney et al., 1985a, 1985b, 1985c, 1985d), people with chronic pain (Haugli et al., 2001; Steen & Haugli, 2001), breast cancer survivors (Lane & Viney, 2001), and AIDS caregivers (Viney, Walker & Crooks, 1995) and women attending menopause workshops (Foster and Viney, 2005). Another constructivist approach that has received some research attention, although generally with less positive findings, is neuro-linguistic psychotherapy. Reviewing the literature, Sharpley (1987) concludes that 'the principles and procedures suggested by NLP have failed to be supported'. Although subsequent research has provided some evidence of improvement in clients treated by neuro-linguistic psychotherapy (Quaite & Winter, 2001) there is clearly a need for further investigation of the effectiveness of this and other constructivist approaches to psychotherapy.